In the final phase of Regent Seven Seas Cruises’ $125 million refurbishment program, the company completed its bow-to-stern upgrade of Seven Seas Mariner. This latest upgrade brings all Regent ships to the level of elegance set by Seven Seas Explorer and provides a consistent look and feel to the entire fleet. Seven Seas Mariner emerged from a 20-day dry-dock with dramatic new culinary experiences, elegant new suite designs, and completely renewed guest spaces. 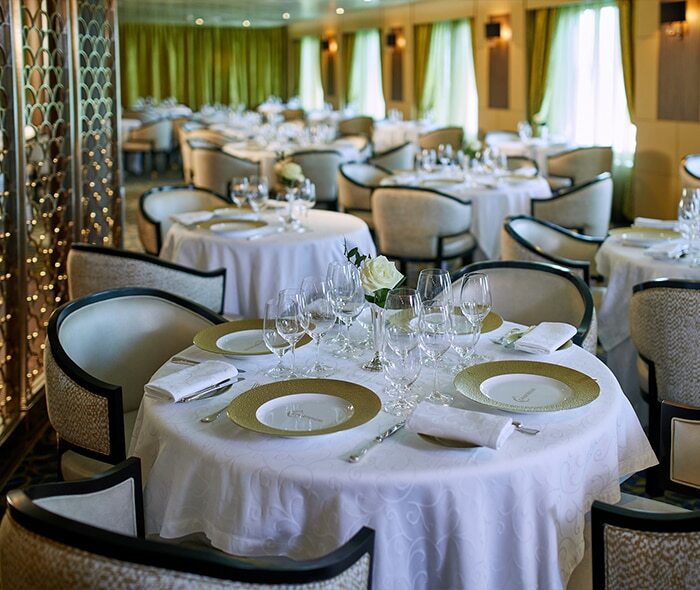 All restaurants on board Seven Seas Mariner received a stylish redesign with enhanced art and décor. The newly updated steakhouse, Prime 7, features unique, rectangular light fixtures that are reminiscent of a sculpture across the ceiling, and cream-colored, pillow-backed chairs contrasted by sapphire walls and wood finishes. The flagship restaurant Compass Rose is completely reimagined, with a popular menu offering guests personal customization and choice, as well as a stunning new look with grand crystal chandeliers, rich wooden accents and celestial blue furnishings. Replacing Signatures is Chartreuse, a guest favorite aboard Seven Seas Explorer and Seven Seas Voyager. The restaurant boasts new furnishings, china, flooring and décor, along with a completely new menu that highlights modern French cuisine. 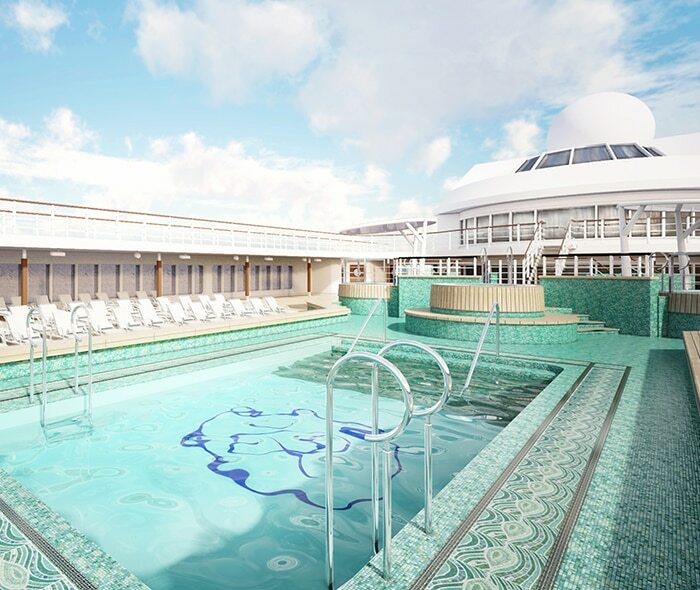 Seven Seas Mariner’s pool deck also received a comprehensive redesign, with a new open layout and teak flooring throughout. The centerpiece is a new mosaic-tiled pool, featuring a broad ledge for lounging in shallow water and surrounded by plush daybeds. Guests can enjoy expanded lunch selections at the outdoor Pool Grill, including steaks, chops, salmon, chicken and sausage, all prepared to order from new infrared barbeque grills. On deck 6, there is all new teak decking and new sun loungers, allowing guests to comfortably relax and enjoy the ocean breeze and soak in a sunrise or sunset. 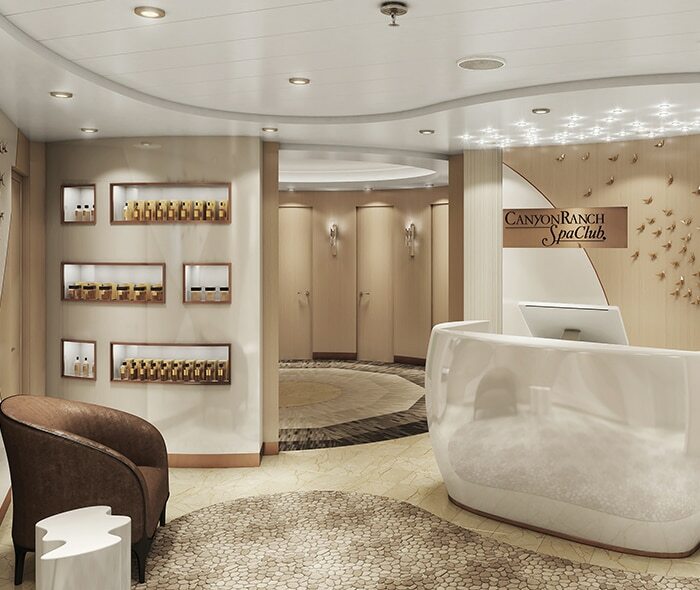 All public spaces received new carpeting, world-class art, furniture and décor, creating a new look throughout the ship. The Reception area features new marble desks and original gold leaf accented artwork by Atlanta-based artist Tom Swanston. The grand spiral staircase in the atrium is crowned by a new large-scale blown glass art installation designed by Canadian studio Tsunami Glass. The completely remodeled and relocated library exudes comfort with dark-wood bookshelves contrasted against cream furnishings. The previous library space is now expanded seating at Coffee Connection, where guests have can enjoy delicious coffee drinks in a stylish new setting with leather furnishings in rich tones. The internet café is now conveniently located at the back of Coffee Connection, offering guests free unlimited internet access. The Card Room, Boutiques, and Casino have been completely revamped. The shipboard Canyon Ranch® Spa received a soothing new design, featuring pebble-stone tiles, light wood accents in the treatment rooms, and an expansive menu of invigorating and restorative rituals. The adjoining fitness and aerobics center offers new state-of-the-art machines and equipment. 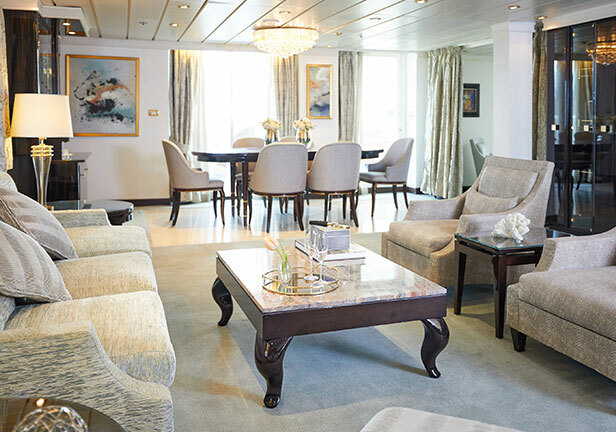 Regent Seven Seas Cruises redesigned all guest suites. The elegantly appointed retreats feature new Elite Slumber™ Beds framed by plush, padded leather headboards, sitting areas furnished with comfortable sofas, accent tables and new artwork, as well as private balconies where guests can enjoy breathtaking views of the crystal blue sea and passing landscape. All suites feature walk-in closets and oversized, marble-accented bathrooms with L’Occitane® amenities. Plus, guests of Penthouse Suites enjoy additional in-suite bath amenities by Guerlain, and Distinctive Suite guests also receive Bottega Veneta. With the refurbishment to Seven Seas Mariner complete, she heads to the Pacific Northwest to take travelers on 15 unforgettable seven, 10- and 11-night immersive Alaska itineraries, which alternate departures from Vancouver and Seward. 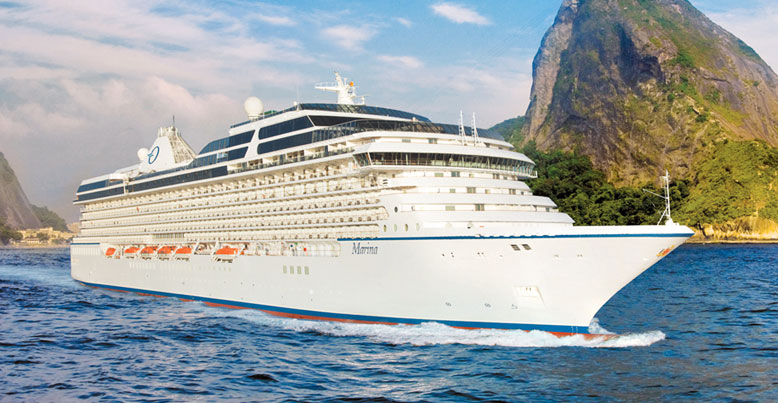 luxury cruises, Seven Seas Mariner, ship refurbishments. Bookmark.